A quick sautée for a few minutes helps protect that vibrant green color. Toss them in some an Asian-inspired oil blend and presto! The saltiness of the Parmesan enhances the fresh flavor of the green beans for a side that can be on the table in under 15 minutes. 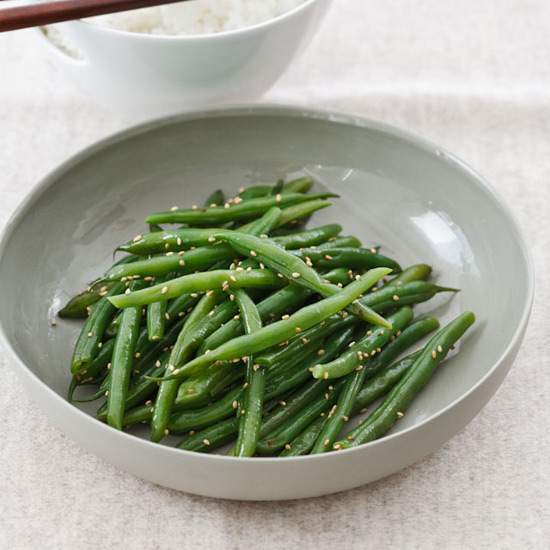 Super simple and healthy, these green beans get a kick from an easy to make cider sauce. Anchovies and capers compliment the red onions and crisp green beans in this delicious side. A simple side of green beans becomes the highlight of the dinner table when you add toasted walnuts, prosciutto and Gruyère.